Every Minecraft fan out there knows what makes it the best multiplayer open world game – the awesome mods! Out of all the crazy mods that have been made by Minecraft enthusiasts, the Lucky Block Mod is among the most popular and simple ones. When you download Lucky Block Mod 1.7.10 and install it on your game, all you get is just one extra block, which resembles the iconic “?” block in Mario. However, this single block brings hundreds of possibilities with it, which you can break up to reveal a pleasant surprise or a scary shocker. Since you never know what will spawn out of the Lucky Block, discovering the blocks and breaking them is a lot more fun. Unlike real life, gold is a commodity you come across often when mining in Minecraft. While you can always collect gold nuggets and gold ingots to make tools, swords, armor and potions, you don’t really need gold to progress within the game. The Lucky Block Mod offers you a great way to exchange your gold for crafting a Lucky Block with 4 gold ingots and a dropper to create a regular Lucky Block. A regular Lucky Block can either hold a wonderful surprise or devastating elements, so test your luck when you make and break one. If you want your Lucky Block to be extra lucky, you can add more elements when crafting the block to increase the Luck percentage. Want to mess around with your friends by giving them a not-so-Lucky Block as a present? Take away the luck by crafting the Lucky Block with elements that decrease luck percentage. If you’re new to the Minecraft modding scene and have never activated a mod before, you will need Minecraft Forge to use the Lucky Block mod. Minecraft Forge is an API that will help you install multiple Minecraft mods easily, and also help you activate and deactivate them whenever you want. 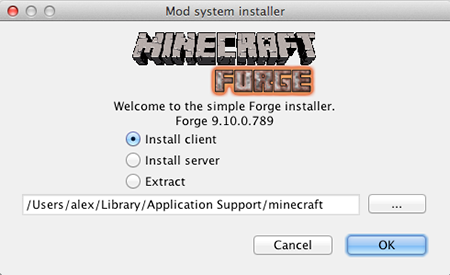 Step 1: Download the latest version of the Minecraft Forge API. Selecting the Forge profile will show you text at the bottom of the Minecraft launcher page. 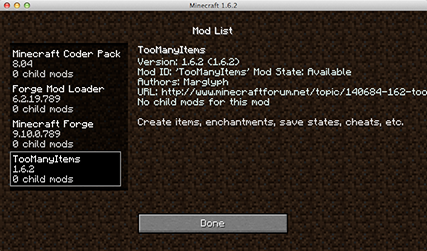 This text will highlight information such as Minecraft version, and also add a Mods button under the Multiplayer button. Step 4: Download Lucky Block Mod 1.7.10 and newer versions. Follow these links below to download the version of the Lucky Block Mod you need. Step 1: Locate the Minecraft application folder on your computer. 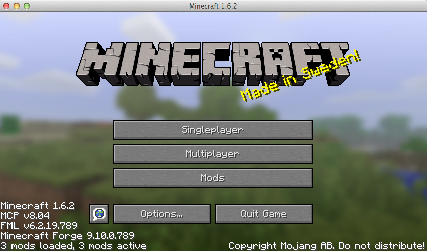 On Windows, open Run from the start menu and type %appdata%\.minecraft\ and click Run. 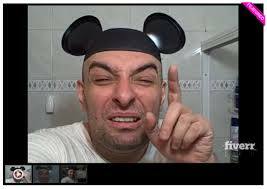 On Mac, open finder, hold down ALT and click Go. 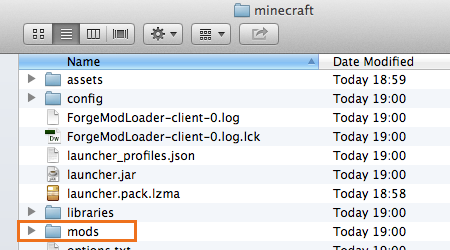 Then click on Library in the top menu bar and open the folder “Application Support” and look for Minecraft. Step 2: Place the Lucky Block mod you have just downloaded into the Mods folder. Step 3: Activate the Mod from the Minecraft launcher. Once you have added the Lucky Block mod to the Mods folder, simply open the Minecraft game launcher and select “Lucky Block” from the Mod List and press “Done”. 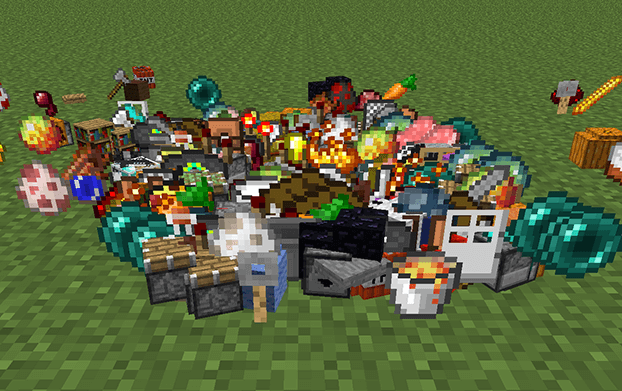 Need some extra help to download Lucky Block Mod 1.7.10 on Minecraft and install it properly? Here is a video tutorial to help you walk through it. this Post was very helpful. please keep it up.